Classical with a touch of chic, this timepiece from Fossil is a stylish wrist companion. The prominent watch face is enclosed in a rose gold tone case with a white dial and simplistic indices. 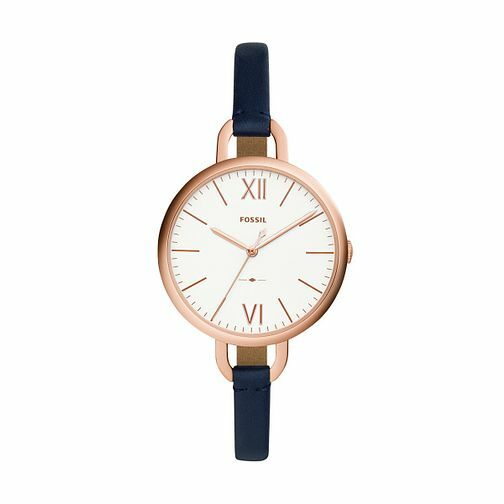 Roman numerals are added at the 12 o’clock and 6 o’clock for a vintage effect and finished with a slender blue leather strap.